Everness | Zeno Agency Ltd.
E1 was the first Earth to create the Heisenberg Gate, the means to jump between worlds, but it was quarantined long ago. No one goes in… and nothing comes out. But E1 has something that Everett needs: the means to find his father. It’s lucky that he has the support of Airship Captain Anastasia Sixsmyth, her daughter Sen and the unique crew of the Everness, because Everett is about to discover the horrifying secret of E1 — and with it, his deadliest enemy! Travel the multiverse with the Everness crew! When Everett Singh’s scientist father is kidnapped from the streets of London, he leaves young Everett a mysterious app on his computer: the Infundibulum, the map of all the parallel earths, the most valuable object in the multiverse. There are dark forces in the Plenitude of Known Worlds who will stop at nothing to get it. They’ve got power, authority, and the might of ten planets at their fingertips. He’s got wits, intelligence, and a knack for Indian cooking. To rescue his dad from Charlotte Villiers and the sinister Order, this Planesrunner’s going to need friends. Friends like Captain Anastasia Sixsmyth, her adopted daughter, Sen, and the crew of the airship Everness. Can they rescue Everett’s father and get the Infundibulum to safety? The game is afoot! The trilogy is published in the UK by Jo Fletcher Books. JABberwocky have also published a few of Ian’s other novels in eBooks for the US market (follow the link above for more information). We’ll post some more information about these novels on the site over the next couple of weeks. 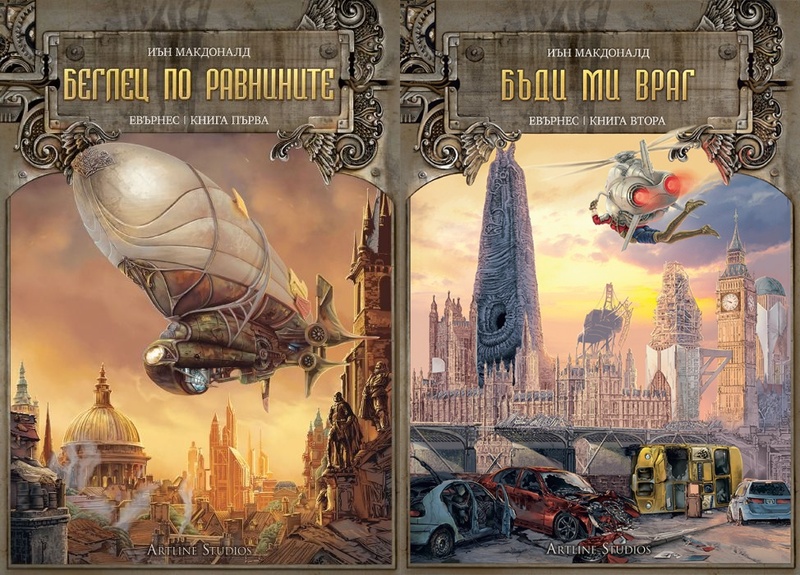 Artline has also published the first two novels in the Everness series:. Everett Singh is just your normal Punjabi-English geek who loves maths and cooking — oh, and his dad’s a genius who’s been exiled to a parallel world. No matter how dangerous the mission, Everett and Sen, daughter of an airship captain are determined to bring his dad home. When Everett Singh’s dad was randomly sent to one of the many parallel worlds in the multiverse, Everett discovered a way to find him — on the quarantined planet E1, home of the terrifying Nahn. 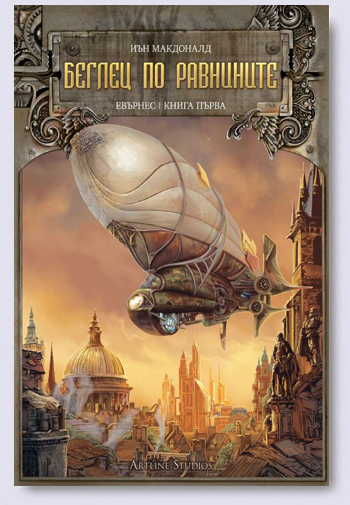 Now he and the crew of the airship Everness have followed the trail to the next world — and his father. 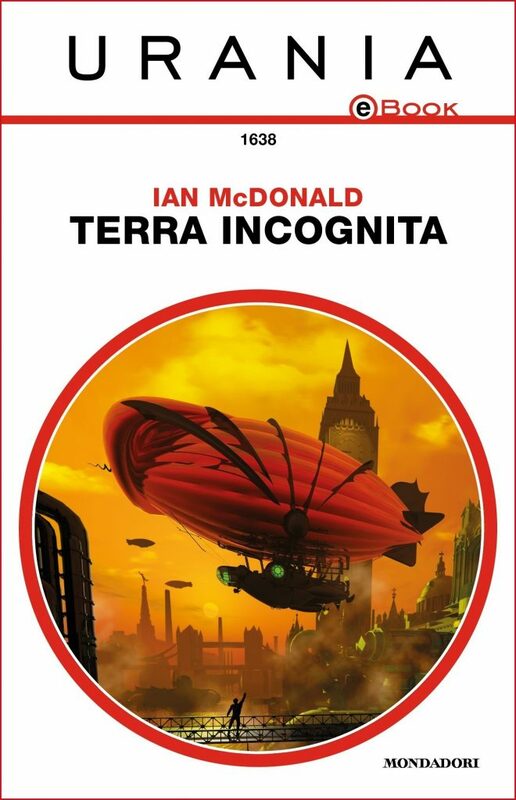 Artline has also published the first novel in Ian’s latest series, the critically-acclaimed Luna science fiction series — which is published in the UK by Gollancz, in the US by Tor Books, and also in select other territories. PLANESRUNNER out today in Italy! When Everett Singh’s scientist father is kidnapped from the streets of London, he leaves young Everett a mysterious app on his computer. Suddenly, this teenager has become the owner of the most valuable object in the multiverse — the Infundibulum — the map of all the parallel earths, and there are dark forces in the Ten Known Worlds who will stop at nothing to get it. They’ve got power, authority, the might of ten planets — some of them more technologically advanced than our Earth — at their fingertips. He’s got wits, intelligence, and a knack for Indian cooking. 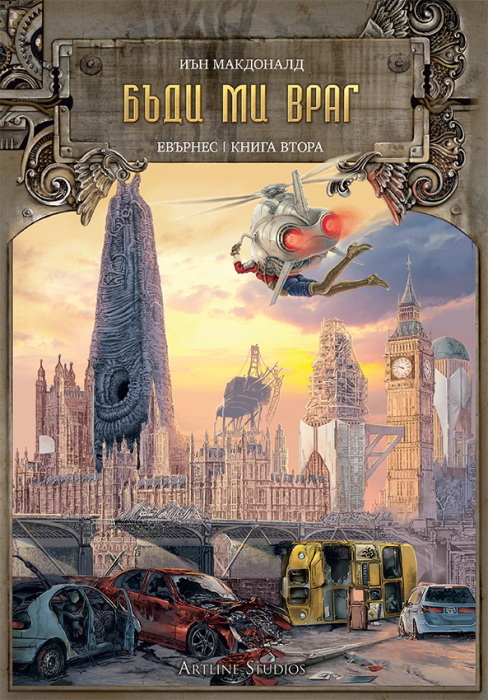 BE MY ENEMY in Bulgaria! Еверет Синг се е измъкнал от ноктите на враговете си с Инфундибулума – ключа към всички паралелни вселени. Но свободата му идва на висока цена: баща му е изгубен в някоя от милиардите паралелни вселени на Целостта. З1 е първата Земя, разработила Портал на Хайзенберг, с чиято помощ може да се прескача между светове, но е поставена под карантина – никой не може да я посети… нито да я напусне. З1 обаче разполага с нещо, от което Еверет се нуждае: начин да открие баща си. Заедно с капитан Анастейзия Сикссмит, дъщеря ѝ Сен и екипажа на Евърнес, Еверет ще се сблъска със страшната тайна на З1… А заедно с нея – и на своя най-ужасяващ враг. 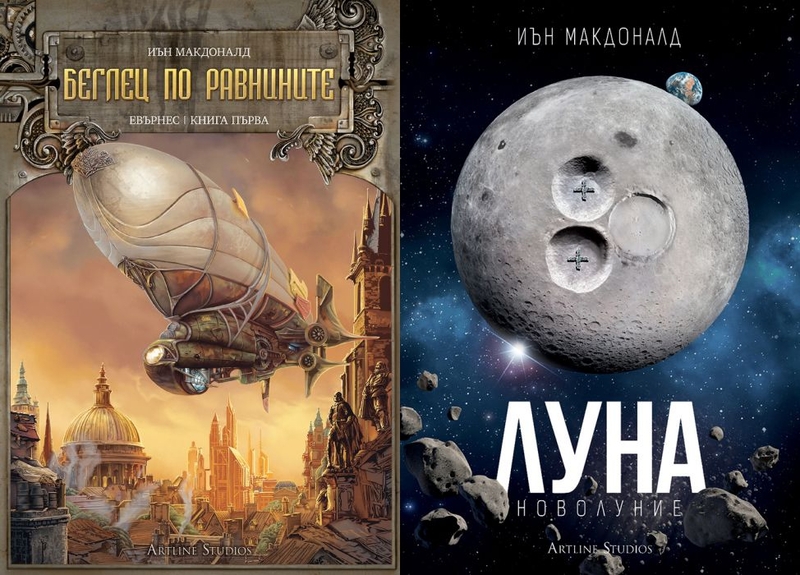 Artline have also published the first novel, PLANESRUNNER, as Беглец по равнините; as well as Ian’s latest book, LUNA: NEW MOON, as Луна: Новолуние. 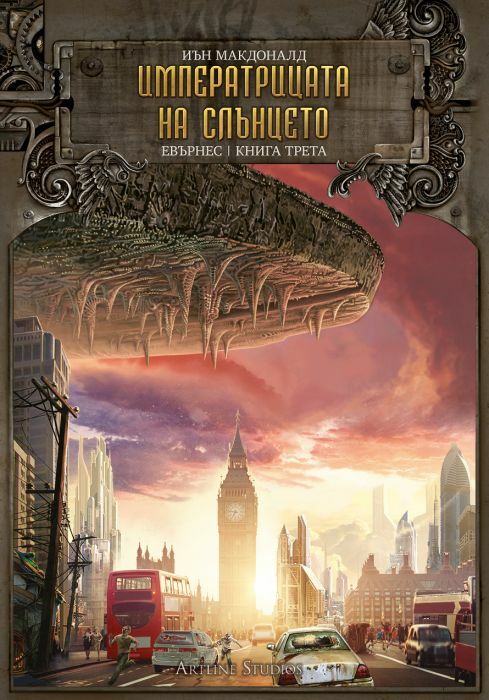 The action traverses the frozen wastes of iceball earth; to Earth 4 (like ours, except that the alien Thryn Sentiency occupied the moon in 1964); to the dead London of the forbidden plane of Earth 1, where the emnants of humanity battle a terrifying nanotechnology run wild — and Everett faces terrible choices of morality and power. But Everett has the love and support of Sen, Captain Anastasia Sixsmyth, and the rest of the crew of Everness — as he learns that the deadliest enemy isn’t the Order or the world-devouring nanotech Nahn — it’s yourself. 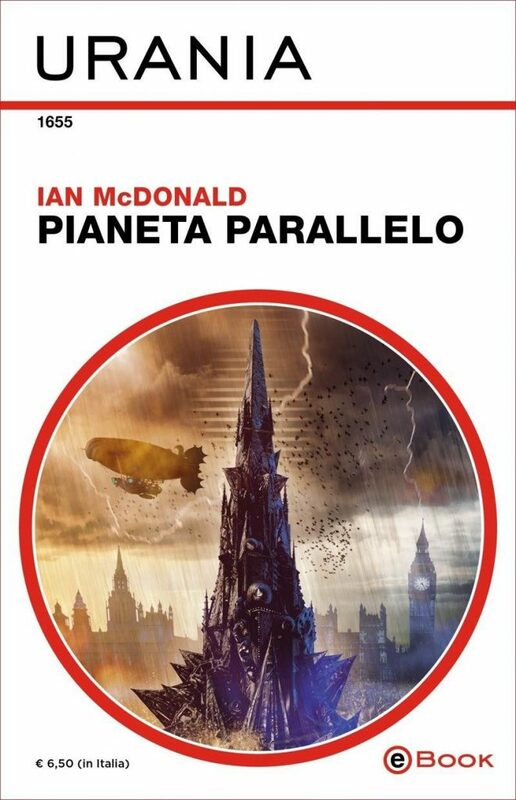 Ian McDonald’s PLANESRUNNER taking flight in Italy…! 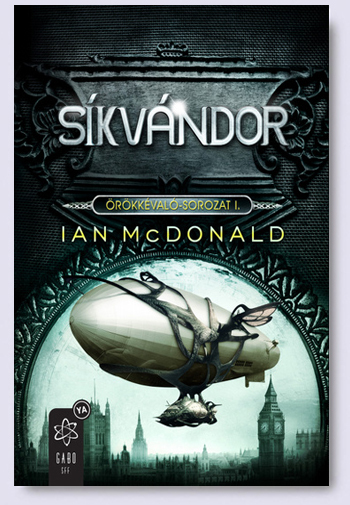 Ian McDonald’s PLANESRUNNER Sails into Bulgaria! Няма само едно „ти“. Има много „ти“. Ние сме част от многообразието на вселените в паралелните измерения… и бащата на Еверет Синг е открил път към тях. Сега баща му е отвлечен и сякаш никога не е съществувал. Все пак има една улика, която синът му може да последва – мистериозното софтуерно приложение Инфундибулум. Програмата е карта, не само за Десетте познати свята, а за цялата мултивселена – и съществуват хора, на които много им се иска да се доберат до нея. За да я опази и за да спаси баща си, Еверет се нуждае от приятели: като например капитан Анастейзия Сикссмит, нейната осиновена дъщеря и екипажа на въздушния кораб Евърнес. There is not just one you, there are many yous. We’re part of a multiplicity of universes in parallel dimensions — and Everett Singh’s dad has found a way in. But he’s been kidnapped, and now it is as though Everett’s dad never existed. 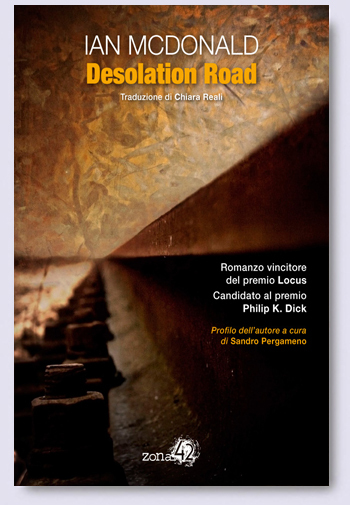 Yet there is one clue for his son to follow, a mysterious app: the Infundibulum. The app is a map, not just to the Ten Known Worlds, but to the entire multiverse — and there are those who want to get their hands on it very badly. If Everett’s going to keep it safe and rescue his dad, he’s going to need friends: like Captain Anastasia Sixmith, her adopted daughter and the crew of the airship Everness. Ian McDonald’s latest novel, the critically-acclaimed LUNA: NEW MOON, is published in the UK by Gollancz, and in the US by Tor Books. Mind részei vagyunk az univerzumok sokaságának a párhuzamos dimenziókban – és Everett Singh apja éppen most találta meg az odavezető utat. Csakhogy elrabolták, és most úgy tűnik, mintha Everett édesapja soha nem is létezett volna. Egyetlen nyom bukkan fel, amelyet fia követhet, egy titokzatos program: az Infundibulum – egy térkép, és nemcsak a Tíz Ismert Világ térképe, hanem az egész multiverzumé. The app is a map, not just to the Ten Known Worlds, but to the entire multiverse – and there are those who want to get their hands on it very badly. If Everett’s going to keep it safe and rescue his dad, he’s going to need friends: like Captain Anastasia Sixmith, her adopted daughter and the crew of the airship Everness. The series has been critically-acclaimed by many journalists, reviewers and Ian’s peers. 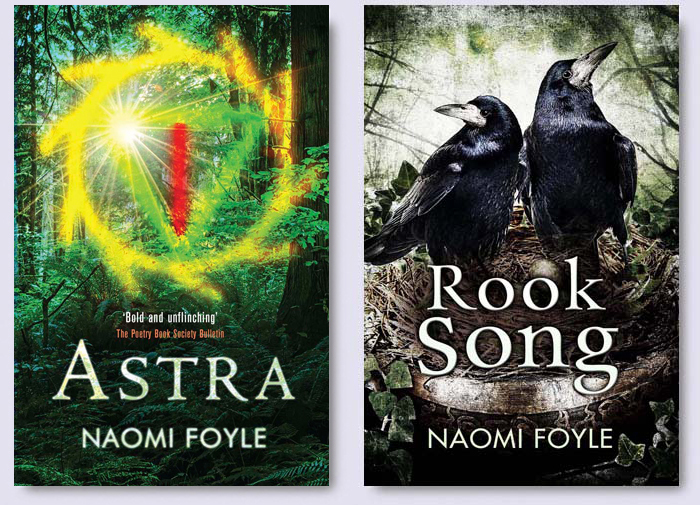 All three books are out now in the UK and US. 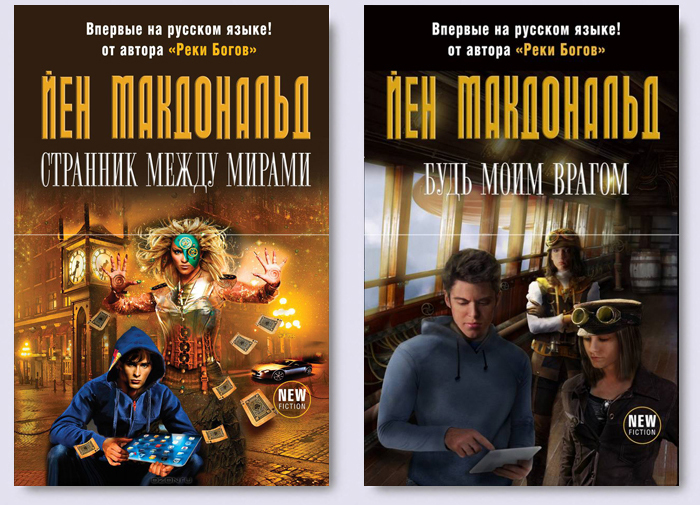 PLANESRUNNER has also been published in France by Gallimard Jeunesse, and in Russia by Эксмо. It all began thirty years ago on Mars, with a greenperson. But by the time it all finished, the town of Desolation Road had experienced every conceivable abnormality from Adam Black’s Wonderful Travelling Chautauqua and Educational ‘Stravaganza (complete with its very own captive angel) to the Astounding Tatterdemalion Air Bazaar. Its inhabitants ranged from Dr. Alimantando, the town’s founder and resident genius, to the Babooshka, a barren grandmother who just wants her own child—grown in a fruit jar; from Rajendra Das, mechanical hobo who has a mystical way with machines to the Gallacelli brothers, identical triplets who fell in love with—and married—the same woman. The wait is finally over! 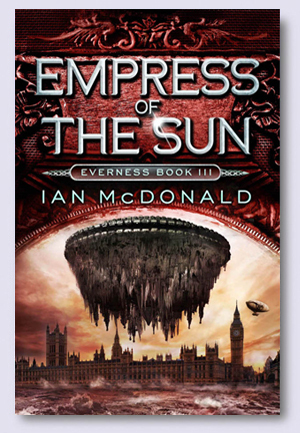 The third volume in Ian McDonald‘s critically-acclaimed Everness series, EMPRESS OF THE SUN, is out today in the US! The series is published by Pyr Books. Everness has jumped right into the midst of a faction fight between rival nations, the Fabreen and Dityu empires. The airship is attacked, but then defended by the forces of the Fabreen, who offers theEvernesscrew protection. But what is the true motive behind Empress Aswiu’s aid? What is her price? The Everness series – PLANESRUNNER, BE MY ENEMY and EMPRESS OF THE SUN – is published by Pyr Books in the US and Jo Fletcher Books in the UK. 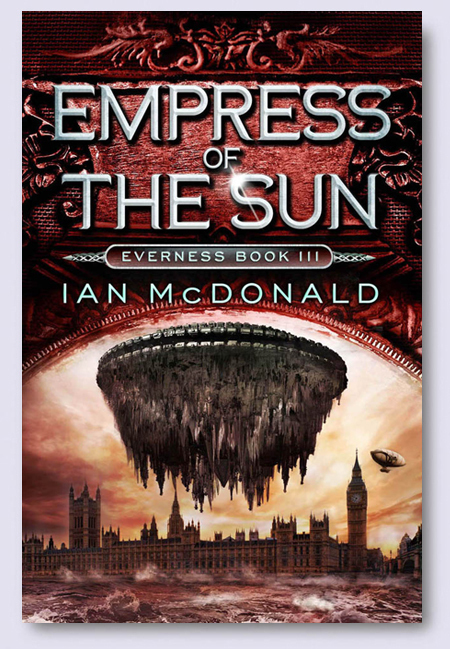 If you have already read the first two, you can get a taste of EMPRESS OF THE SUN, here. 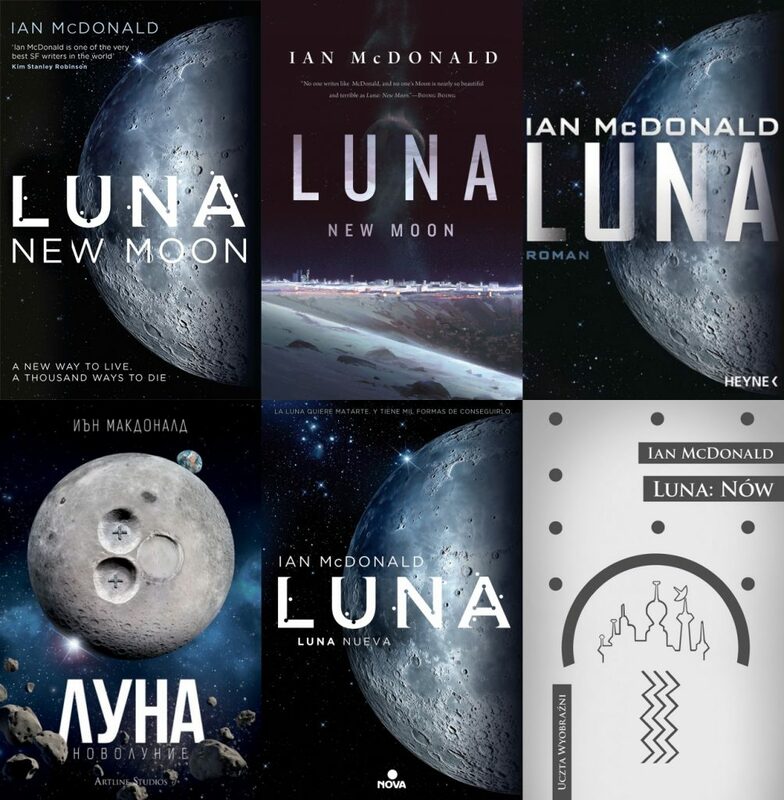 You can also learn a little bit more about the Multiverse in Ian’s books by reading his Guest Post on Nocturnal Book Reviews. 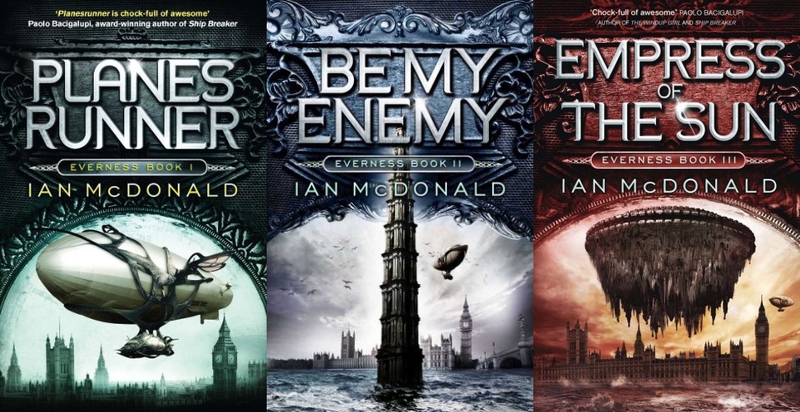 Ian McDonald’s EVERNESS Series Available in Audio! 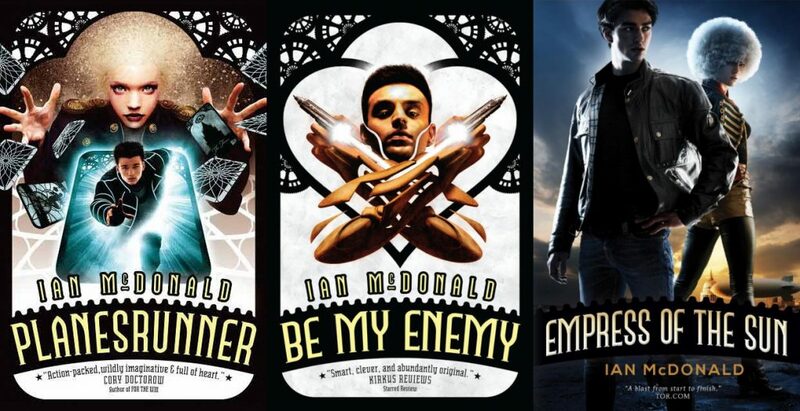 We are very happy to report that Ian McDonald‘s critically-acclaimed Everness series of YA science fiction is now available in audio format! 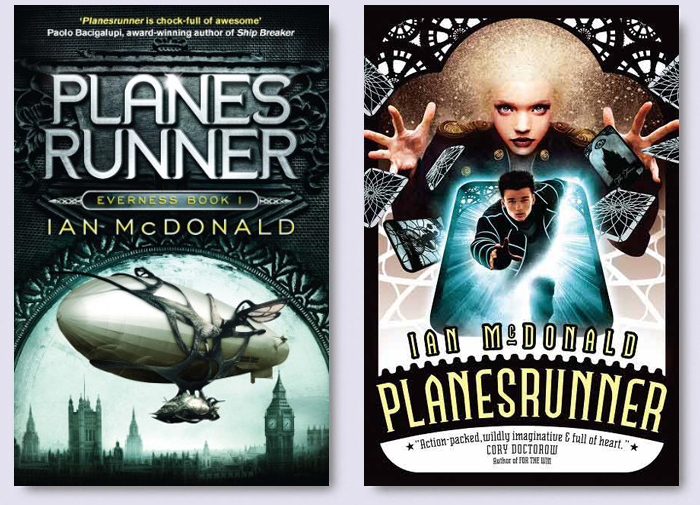 The three novels – PLANESRUNNER, BE MY ENEMY, and EMPRESS OF THE SUN – have been recently released by Audible in both the UK and US. The audiobooks are narrated by Tom Lawrence. We’re very happy to share the news that Zeno’s own Ian McDonald will be one of the Clarion West 2014 instructors! The 2014 Clarion West Six-Week Writers Workshop will be held between June 22 and August 1, 2014, in Seattle, Washington (where it has been held since 1984). The application process began in December 2013. The Workshop is widely known as a training ground for some of the SFF field’s finest writers. The full instructor roster for the 2014 Clarion West Six-Week Writers Workshop is: Paul Park, the 2014 Leslie Howle Fellow; Kij Johnson; Ian McDonald; Hiromi Goto; Charlie Jane Anders; and John Crowley, the 2014 Susan C. Petrey Fellow. 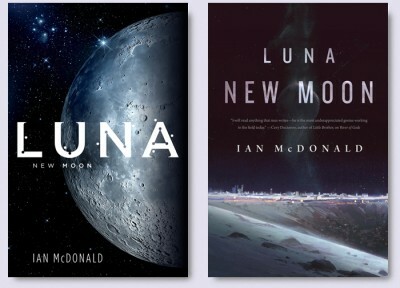 Ian McDonald is the author of many multi-award winning novels, including THE DERVISH HOUSE, BRASYL, RIVER OF GODS and DESOLATION ROAD (to name but four). 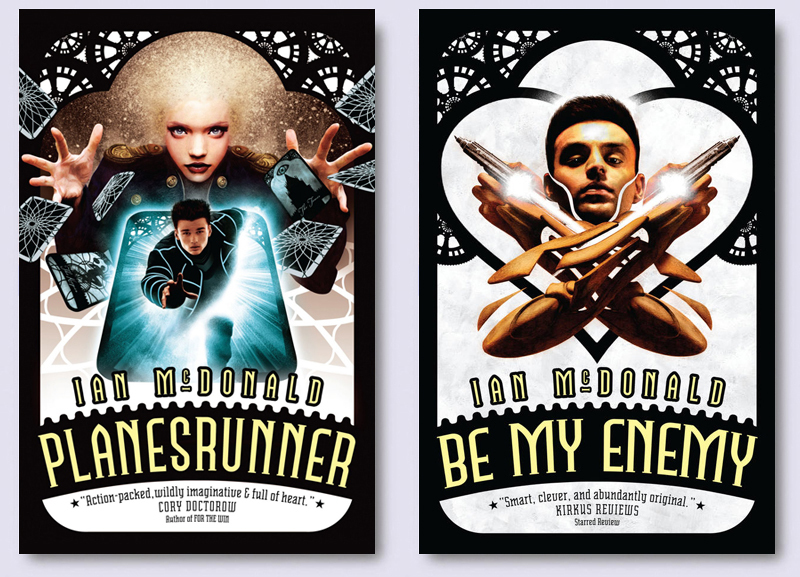 His most recent work includes the critically-acclaimed YA Sci-Fi series – PLANESRUNNER, BE MY ENEMY and EMPRESS OF THE SUN – published by Jo Fletcher Books in the UK (covers below) and Pyr Books in the US. 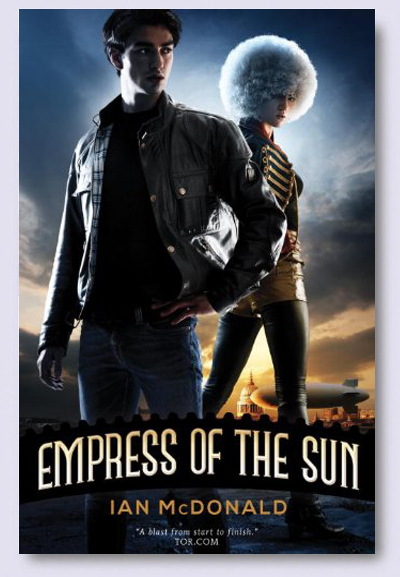 EMPRESS OF THE SUN is due to be published in the UK by Jo Fletcher Books in January 2014, and in the US by Pyr Books in February 2014.